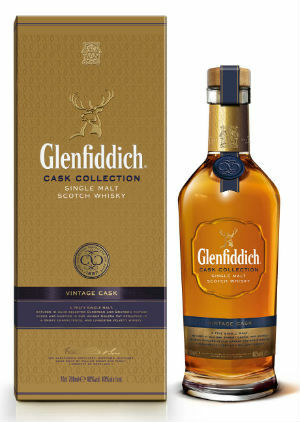 For those who know me, it’s no secret that I have a soft spot for Glenfiddich; the 15yo Solera Reserve was one of the first bottles of whisky I ever bought, I organised a trip to the distillery for a close friend’s stag do earlier this year, and I’m frequently impressed with their pioneering innovations. Take the Solera vat for example. This was initially set up by David Stewart in the late 1990’s and is used as a marrying vat for the 15yo. The vat is always kept more than half full to ensure continuity of colour, aroma and flavour and takes inspiration from the Solera system used to mature sherry. Well, they don’t just have one vat any more, they’ve gone and built another three. The three new Solera vats have each been used to produce a brand spanking new whisky. 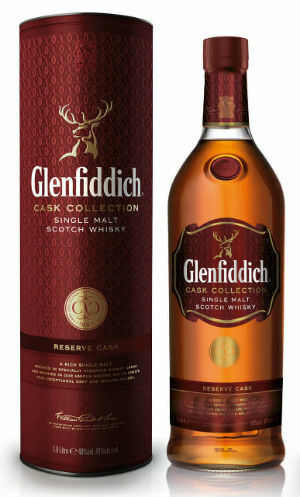 These three whiskies make up The Cask Collection and are called the Select Cask, the Reserve Cask and the Vintage Cask. First up is the Select Cask which contains whisky from bourbon, European oak and red wine casks and is priced at around £40 for a litre. Next up is the Reserve Cask which is matured in Spanish sherry casks and retails for £50 for a litre. Finally, the Vintage Cask, which isn’t available until early next year, pays homage to the style of whisky which would have been produced at the distillery back in 1887 – the year when spirit first flowed from the stills. It contains a proportion of peated barley and promises to be a sweetly smoky son-of-a-gun, having been matured in European oak and American bourbon casks. This will be available from spring 2014 for the tidy sum of £80 for a 70cl bottle. Nose: Vanilla fudge, faint potpourri and strawberry mousse. Then three fruit marmalade, pine cones and freshly sawn wood. Palate: Fresh hay, orange oil, lime juice, creamy vanilla and red berries. A dash of cinnamon stick too. Finish: Lovely and fresh – citrus and vanilla. Nose: Honey on toast, lemon puffs, baked apples with brown sugar, toasted almonds, malt loaf and Cola cubes. Palate: White pepper to begin, along with lemon meringue and icing sugar. Then clove studded ham, cinnamon swirls, fennel, a touch of ginger, and the taste I’d imagine which would come from licking a Chesterfield sofa. Finish: Sweet, juicy oak and wood spices. Nose: Surprisingly coastal; BBQ’d prawns and smoked scallops. Then salted limes, heather honey, sweet compost and faint cigar. There’s a herbal note too – maybe rosemary or coriander. Then smouldering flowers (! ), Turkish Delight and a forest floor. There’s loads here! Palate: Initially there’s some crème brûlée, keylime pie and spun sugar. Then the bonfire smoke comes through alongside oyster shells, crispy seaweed, some coal dust, a peat hearth and toasted teacakes. Complex, to say the least. Finish: Mahogany, tea chest and a hint of dark chocolate. Overall: Bloody hell. 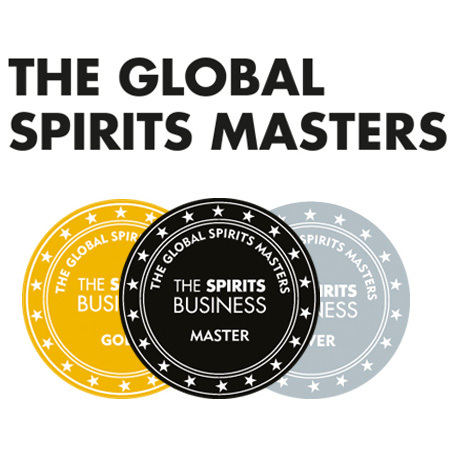 Three absolutely cracking whiskies. 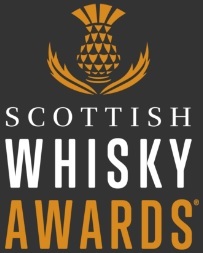 The fresh and vibrant Select Cask is very moreish and would sit well as an aperitif whisky. The Reserve Cask tends more towards the robustly fruity side of things and is extremely well balanced. However, the Vintage Cask was everything I wished for and more. 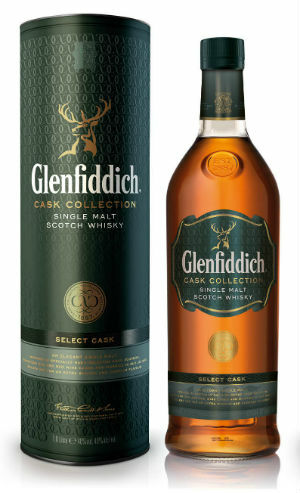 It’s very complex and the smokiness brings out a side to Glenfiddich that I’ve not seen before. 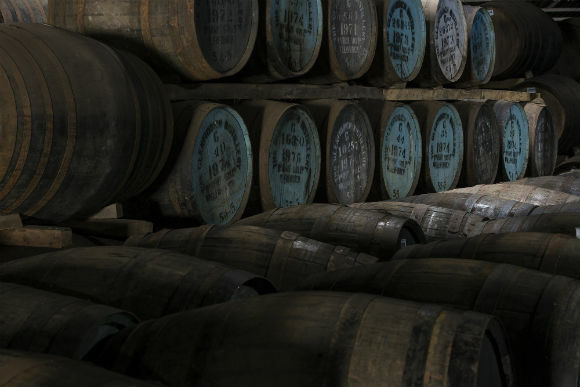 Everything’s there – the sweetness, the fruitiness and the smokiness combine together to produce an excellent whisky. One of the most interesting drams I’ve tried this year. Fantastic stuff. This entry was posted	on Monday, October 14th, 2013 at 9:18 am	and is filed under Reviews. You can follow any responses to this entry through the RSS 2.0 feed. Responses are currently closed, but you can trackback from your own site.